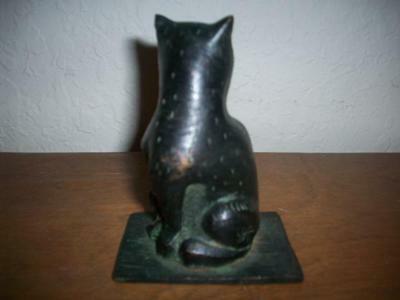 This Ming Dynasty Cat Figurine was given to me by my mother when she returned from a recent trip to China. “Made during the rule of Emperor Xuan’de of the Great Ming dynasty”. I’m not sure what kind of metal it is made out of. 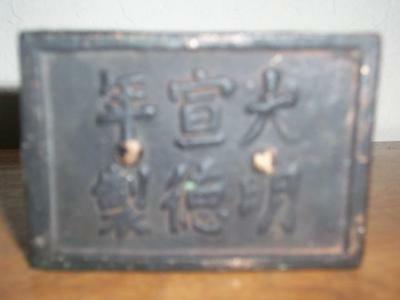 It is black, but I’m not sure if that’s from age or the original decoration. There are parts of it where you can see a bronze or gold color coming through but I’m afraid to use any cleaner on it since I don’t want to ruin it. The entire body of the Ming Dynasty Cat figure has tiny lines on it as if it was carved or etched into shape. The details, eyes, nose, whiskers, etc; are also etched. The base appears to be bolted on. 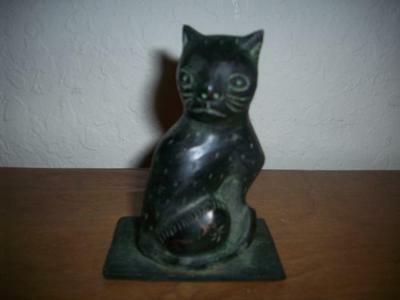 Mainly wondering if it’s a real Ming Dynasty Cat Figurine or a knock off. Any ideas or comments would be great!